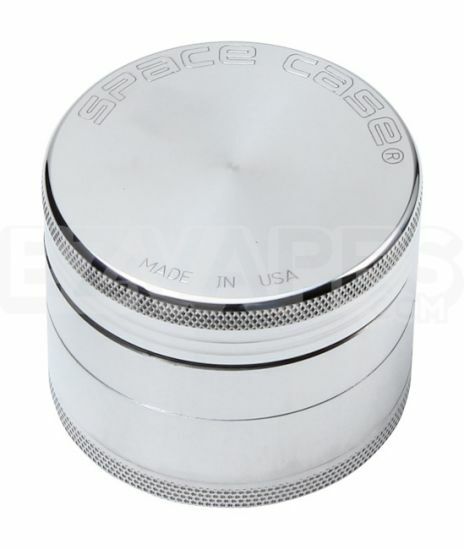 The 4 piece aluminum grinder from Space Case is a durable grinder that comes with a sifter for your material and also storage space at the bottom. When looking for the right grinder you want to take quality, versatility, and design into account and Space Case delivers on all three. The centered magnet will even keep it sealed to prevent spilling. 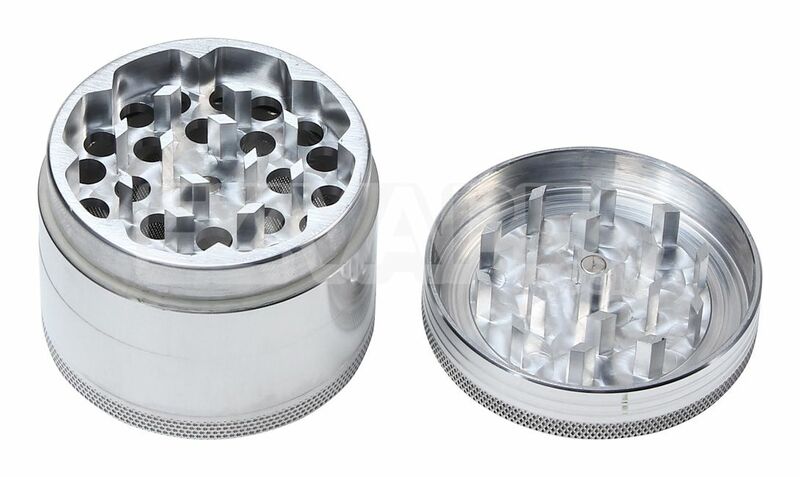 The small size is 50mm (about 2") which is big enough to grind an ample amount of material but still small enough to take with you and the anodized aluminum will stop the grinder's teeth from dulling and the outside from wearing down.